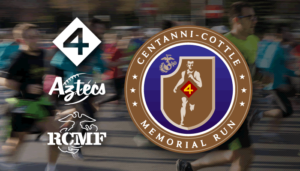 Rick Centanni Memorial Fund › 6th Annual Centanni-Cottle Memorial 5K Run/Walk – 3/25/2018! Home News 6th Annual Centanni-Cottle Memorial 5K Run/Walk – 3/25/2018! The 2018 Centanni-Cottle Memorial 5K winds 3.1 miles through Rick and Robert’s hometown of Yorba Linda, California. The 5k route passes by all three schools Rick attended, starting just south of Fairmont Elementary and continues south down Fairmont Boulevard past Bernardo Yorba Middle School then west on Esperanza Road and finally north on Kellog Drive ending at Esperanza High School. Looking for an extra challenge in 2018? Participate in the Heroes Series and add the Anaheim Semper 5K & 10K!